The regular season of the National Hockey League or NHL Playoffs or NHL for short began on October 3rd in 2018. After the regular season ends on April 6th, 2019, the NHL playoffs will officially begin. The National hockey League is one of the most popular sports leagues in the United States, as well as one of the most famous sports events all over the world. We are currently following the 102nd season of the National hockey League that has existed for over a century. All fans of ice hockey and the NHL league can follow all regular season and playoffs live scores and results on xscores.com. The regular season consist of 31 teams. Only the top NHL teams will qualify for the famous Stanley Cup playoffs that are scheduled to begin on April 10th. The finals of the Stanley Cup will be held in the period of late May to early April of 2019. The Stanley Cup playoffs begin only a few days after the regular season. This is an elimination tournament that is held at the end of the league each year. The playoffs consist of four rounds organized as a best-of-seven series. The winner of the playoffs and the finals will receive the famous Stanley Cup and the title of the NHL champions. Last year’s NHL championship title is held by Washington Capitals whereas the most successful club of the league is Montreal Canadiens. 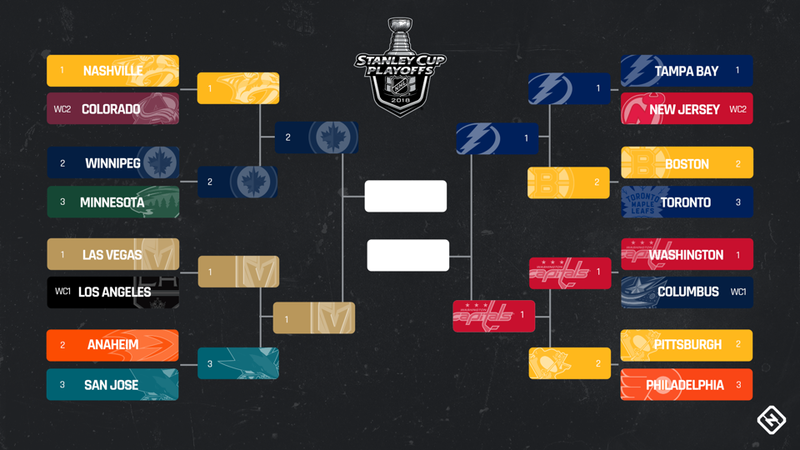 The 2019 NHL playoffs will determine the new champions of the league starting on April 10th. All fans of ice hockey and the National Hockey League can follow NHL matches and live scores right here on xscores.com. Check back regularly for immediately updated fixtures and statistics, as well as live scores during match times. Xscores.com provides both regular season and Stanley Cup playoffs live scores and results.